Location/ Directions: I-95, Exit 11 B; Off Exit - Follow to Traffic Light; U-Turn at light and a Right Turn into Parking Lot. 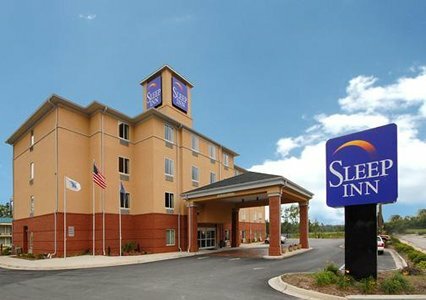 About Hotel: 2-Floors, 119-Rooms, Exterior Corridors, Free Breakfast, Free High Speed Internet, Pets Allowed, Truck/Bus Parking, Convenient To I-95, Pueblo Viejo Mexican Restaurant & Bar on site, Free Wireless Internet Access, Free Local Calls, Cable TV-HBO/CNN/ESPN, Cribs Available, Pet Friendly (fee), Iron/Boards Available, 24 Hour Front Desk, AM/FM Clock Radio, Hairdryer, Business Services, Coin Operated Laundry, Free Newspaper USA Today M-F, Ice/Vending Machine, Iron/Ironing Board available, Microwave, Refrigerator In Some Rooms, Outdoor Pool, Roll-away (fee), Wake-up Calls. Railroad View: Excellent View! Only South side rooms face the railroad. Any room on the railroad side of the building will offer a clear railroad view. Railroads past Hotel: Norfolk Southern Railway. Not a busy rail line. This branch runs west to Larwenceville, VA and east to Suffolk, VA where the line connects to a NS mainline. Only a local freight run on this line. During my January 2015 visit, the tracks were heavily rusted with scattered weeds, no sign of usage in several months. TripAdvisor reviews have no mention of trains / train horns. Location/ Directions: From I-95 South: take exit 11b to 58 West we are about 1/4 mile. From I-95 North: take exit 11b to 58 West we are about 1/4 mile. From Hwy 301: take Hwy 58 West we are about one mile. About Hotel: 5-Floors, 85-Rooms, Interior Corridors, Pets Allowed, Easy to Set Alarm Clock Radio, Coffee Maker, Complimentary Hot Breakfast, High Speed Internet-No Charge, Iron/Ironing Board, Lap Desk, Coin Laundry, Elevators, Room Service, Business Center, Fitness Room, Pool, Cribs. Railroad View: Good View from either side of the motel, most rooms will have a railroad view, higher floors will be better. Photo Comment: Standing by the grade crossing on Wiggins Road, the Hampton Inn can easily be seen. These tracks were rusted, with scattered weeds and highway dirt/sand completely filling in the flangway next to the rails, it was easy to tell a train has not been on this branch all winter, maybe longer. Location/ Directions: From I-95: Take exit 11B through stop light, turn left at first median, hotel on the right. About Hotel: 2-Floors, 115-Rooms, Exterior Corridors, Free Continental Breakfast, Free Newspaper Mon-Fri, Pets Allowed (fee), Picnic Area, Seasonal Outdoor Pool, Cable/Satellite TV, Free Local Calls, Free Wireless High Speed Internet Access, Hair Dryer, In-Room Coffee Maker, Individual A/C & Heat, Iron & Ironing Board, Voice Mail, Wake-Up Service. Railroad View: Excellent View. Some tree's prevent an excellent view. Need a room on the south side for a railroad view. Railroads past Hotel: Norfolk Southern Railway. Not a busy rail line. This branch runs west to Larwenceville, VA and east to Suffolk, VA where the line connects to a NS mainline. Only local freights run on this line, one each way daily the max, usually in daylight. TripAdvisor reviews have no mention of trains / train horns. 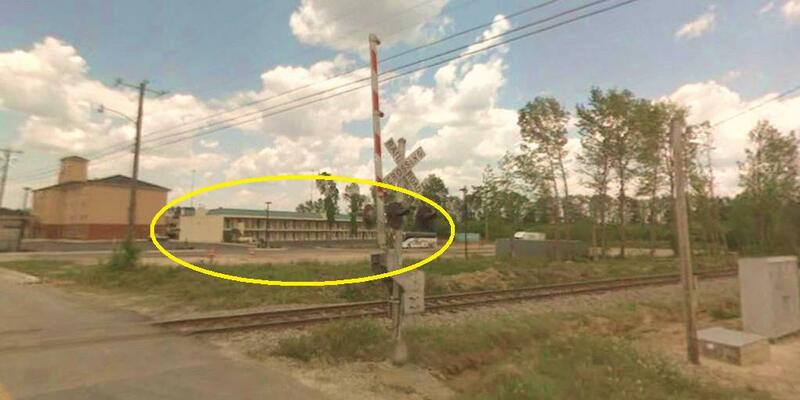 Photo Comment: The Google Street Maps photo shot from the grade crossing shows the Quality Inn motel circled in Yellow. 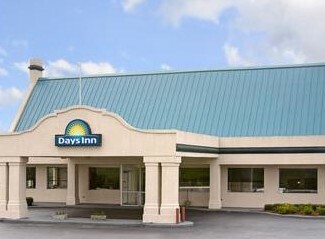 The Quality Inn will offer the best direct view of the railroad since the rooms face the tracks directly. The Sleep Inn motel is seen to the left. Location/ Directions: From I-95 South: Take Exit 11B onto US 58 West. Make a left at the traffic light and enter into the hotel on your left. From I-95 North take Exit 11B onto US 58 West. Make a left at the traffic light and enter into the hotel on your left. From Highway 301: Take Hwy 58 West and hotel is one mile on your left. 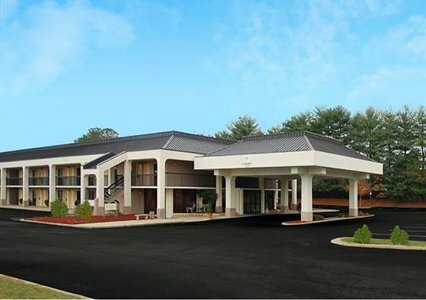 About Hotel: 4-Floors, 64-Rooms, Interior Corridors, Free deluxe continental breakfast, Free high-speed Internet, Free local calls, Pet-friendly hotel (fee), Bus & Truck Parking, Fitness Center, Guest Laundry, Outdoor Parking, Seasonal Outdoor Pool, Cable/Satellite TV, Flat Screen/Plasma TV, Hair Dryer, In-Room Coffee Maker, In-Room Desk, Individual A/C & Heat, Iron & Ironing Board, Microwave, Refrigerator, Wake-Up Service. Railroad View: Excellent View. No rooms face the railroad directly, but there is a clear view. 2nd, 3rd, and 4th floors on the front of hotel are needed for a railroad view. Notes: Upon check in the front desk clerk said the trains pass a few times a day, but it wasn't a day this year; the rails were solid rust with unflatten weeds, looks like nothing has run on this branch in a year. The hotel is very nice, I had room # 307, which offered a great view of the railroad, too bad nothing past. Photo Comment: This hotel has a great view of the railroad, too bad its hardly used. My walk down to the tracks in the morning helped me understand why I didn't hear any trains since I checked into the hotel last evening. Rusty rails with "uncrushed" weeds explained it all.